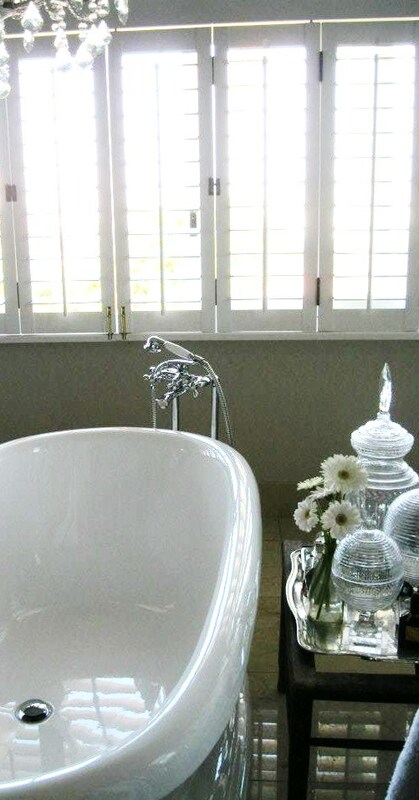 Welcome to part 3 of the Home Tour of my talented South African friend’s lovely home…this post focuses on the master bathroom, family bathrooms , family bedrooms and the Media or Family room which are all situated on the second floor of the home. 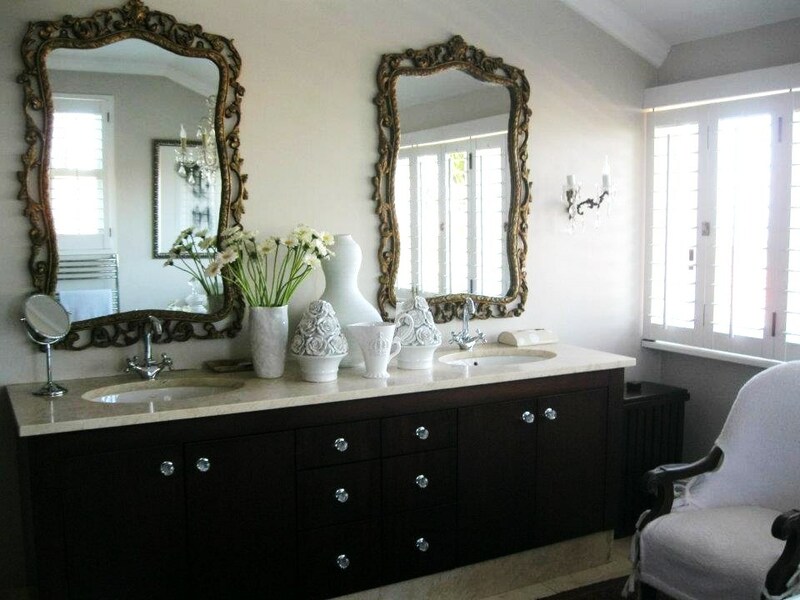 Just off the glamorous master bedroom is an equally decadent master bathroom, complete with free-standing tub and his and hers basins…these magnificent mirrors are from France. 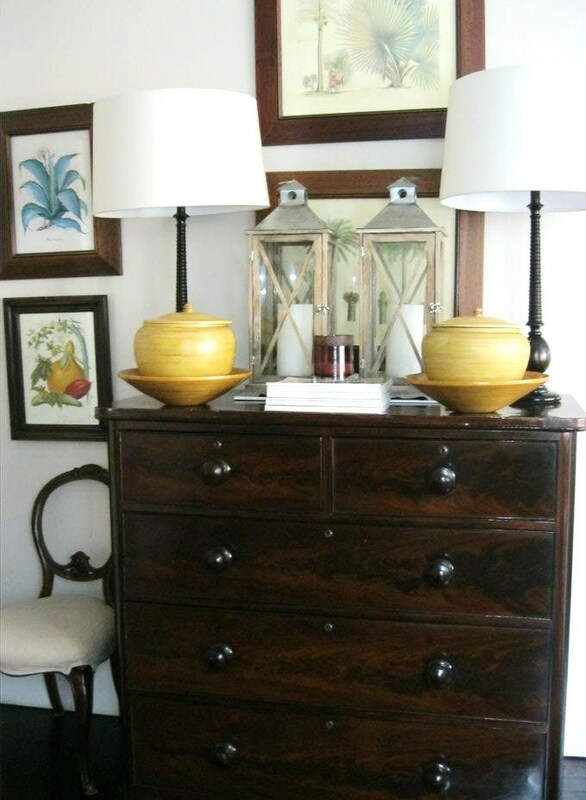 A view of the tub and a vignette of antique glass orbs and jars. 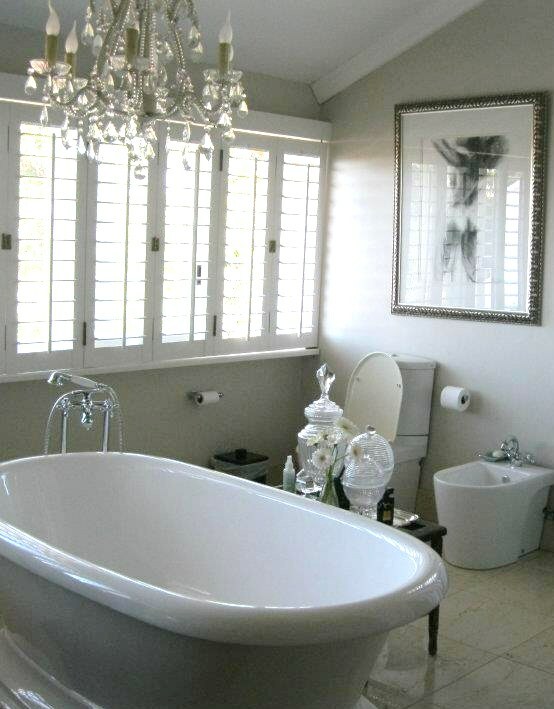 I adore art in the bathroom, and something bold like this magnificent piece above the toilet and bidet, is perfect for the space-once again , there are no curtains, but shutters, which filter the wonderful light.